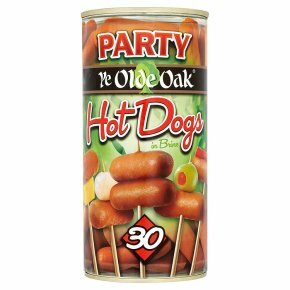 Mini hot dogs Delicious and versatile Mini Hot Dogs, the perfect party partner. Great on sticks, with dips or in mini buns. Irresistible hot or cold. Instructions for Use Empty contents, including brine, into a saucepan & heat gently for about 5 minutes. Drain & serve.